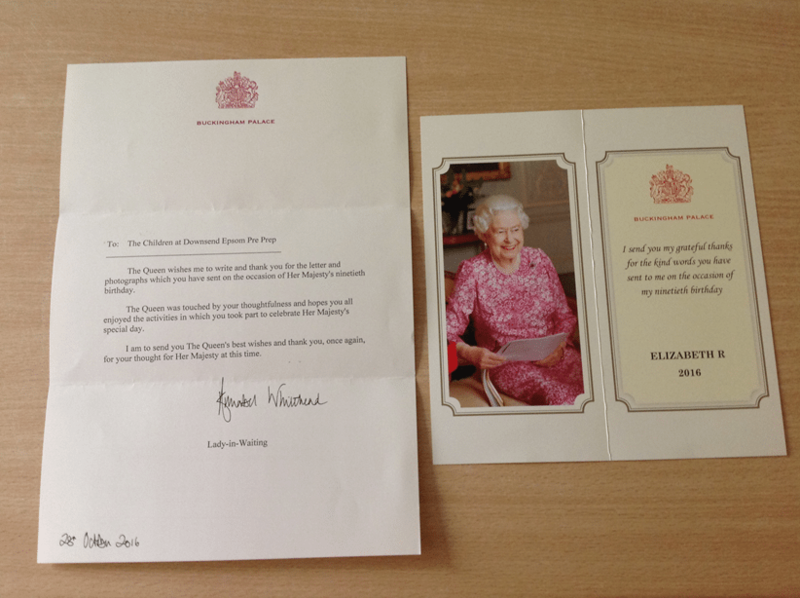 We have a letter from the queen….. In June this year we celebrated our Queen’s 90 birthday. These celebrations took place in the form of a special lunch and every child painted a portrait of her Majesty. These paintings were so magnificent that we took a photograph of them and sent them to the Palace. The Queen obviously thought they were fantastic too because she has sent us a letter to say thank you!